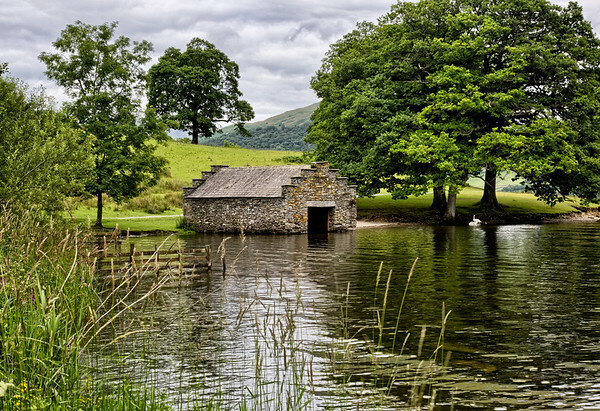 Photographs of the stunning vista's in the Lake District. 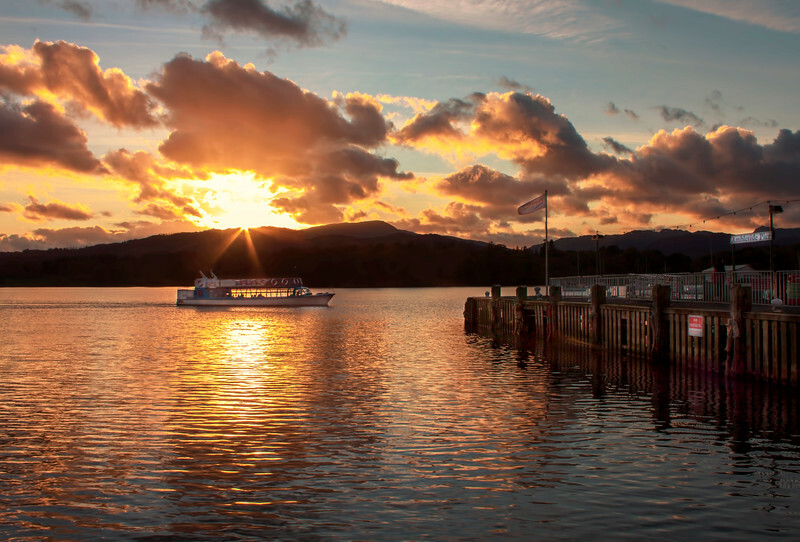 The last ferry arriving at the Waterhead Pier in Ambleside, Cumbria during a stunning sunset. 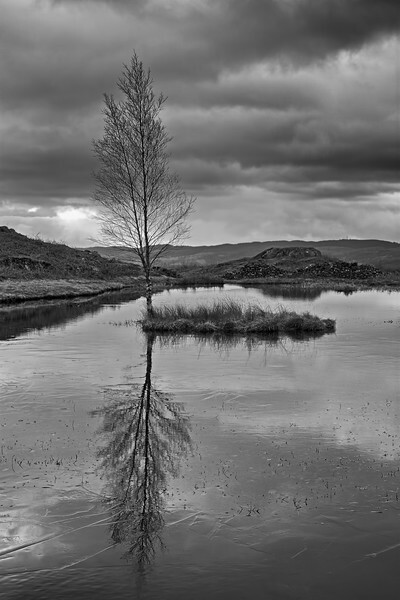 A frozen Lily Tarn, which is located above Ambleside in Cumbria. Since taking this photo, the lone tree has blown over. 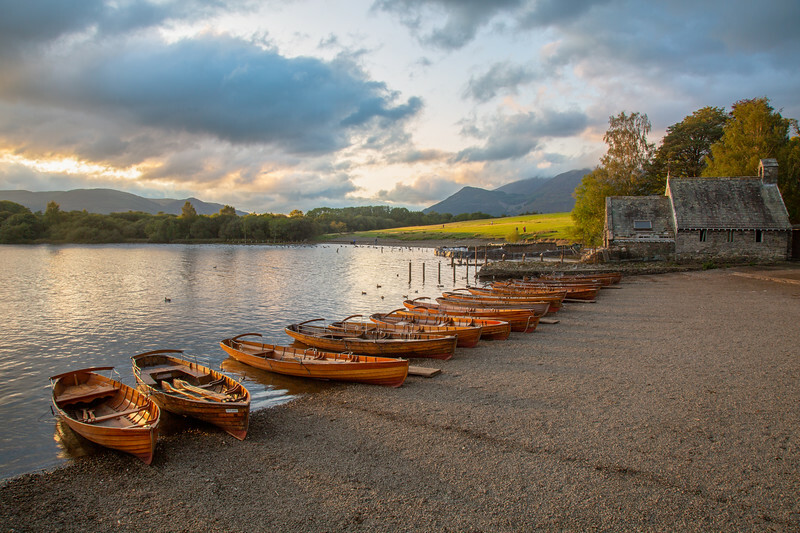 Row boats at Crow Park, Keswick in Cumbria. Taken at sunset which is lighting up the field in Crow Park. 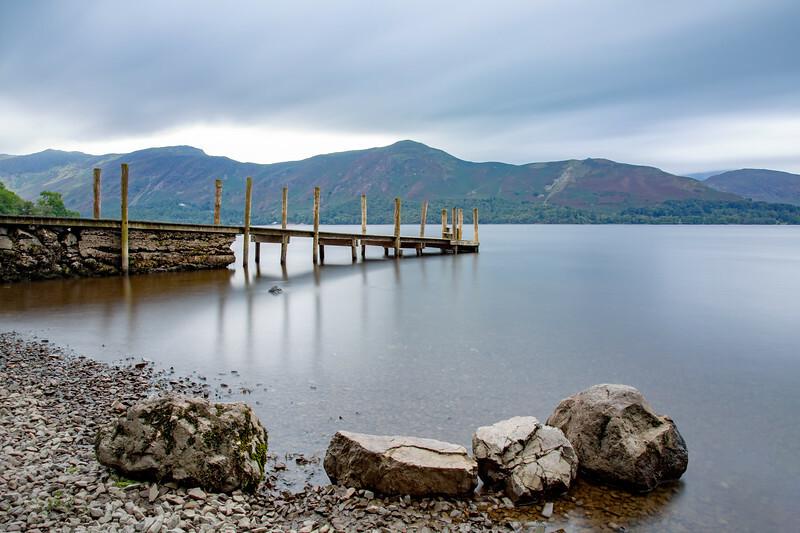 Ashness Pier located on Derwentwater is one of a number of stops for the Keswick launch. 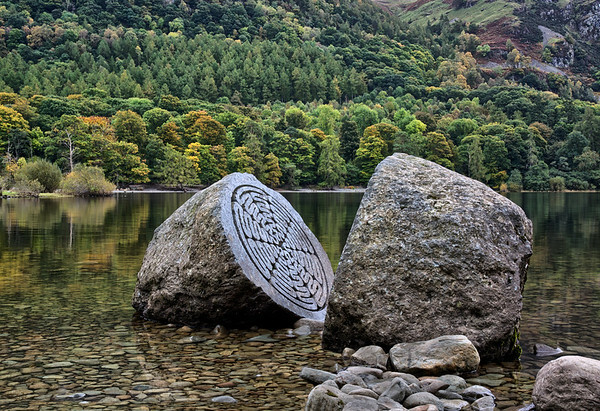 The Centenary Stone on the shores of Derwenwater. 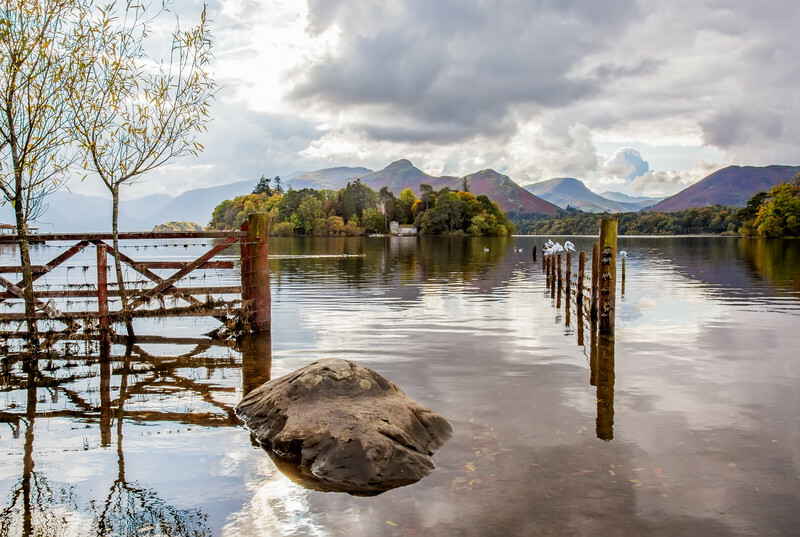 It is a large split boulder of local Borrowdale volcanic lava placed in CalfClose Bay near Keswick to mark 100 years of the National Trust in the Lake District. Boathouses on the River Leven at Newby Bridge. Frosty morning causing the mist on the water. 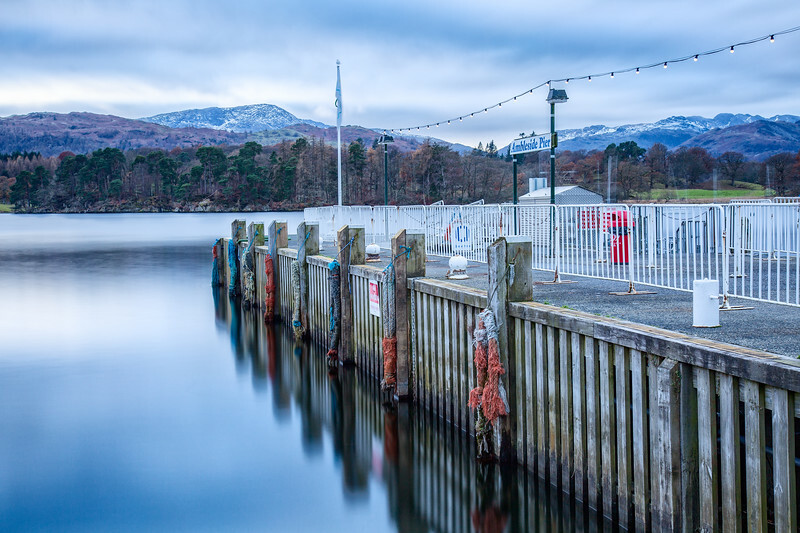 Located in the Lake District, Ambleside Pier or as some people may know it, Waterhead Pier is were you catch the ferries on Windermere. Ashness Bridge near Keswick. 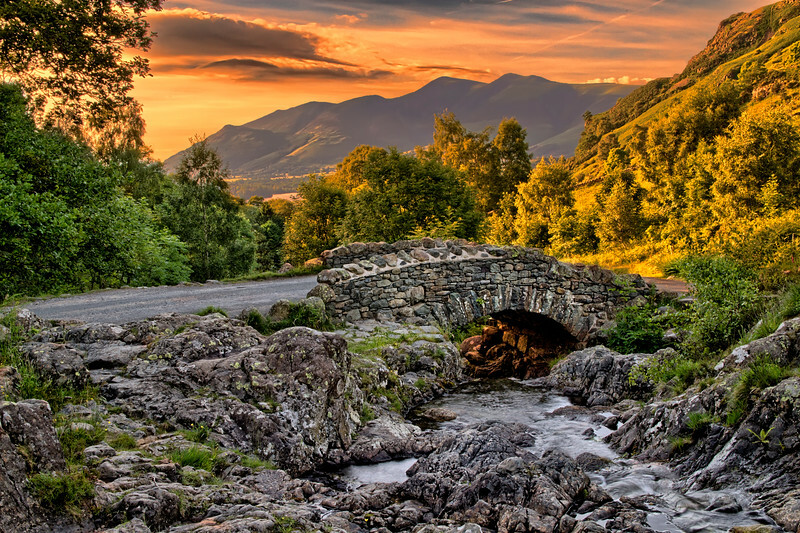 Probably the most photographed pack horse bridge in the Lakes. Beautiful colours during a stunning sunset lighting up the mountains. This photograph has won the "2014 Lancashire Life Photo of the Year" and will be in their calander for 2015. Derwentwater as seen from Crow Park, Keswick in the Lake District. Cat Bells at the back is a poplular walk from Keswick and it has a modest height of 451 metres (1,480 ft). 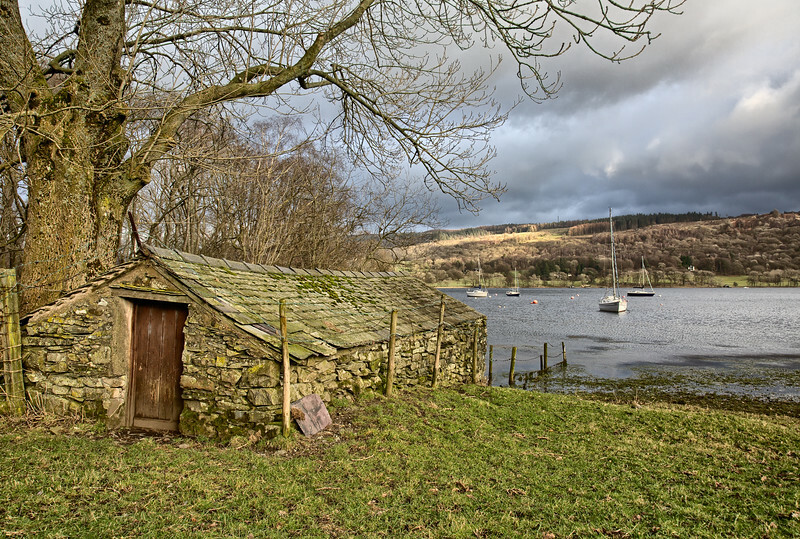 Boathouse on Coniston Water located near to Coniston Sailing Club. Coniston Water has a varied history, no more so than the scene of many attempts to break the world water speed record. 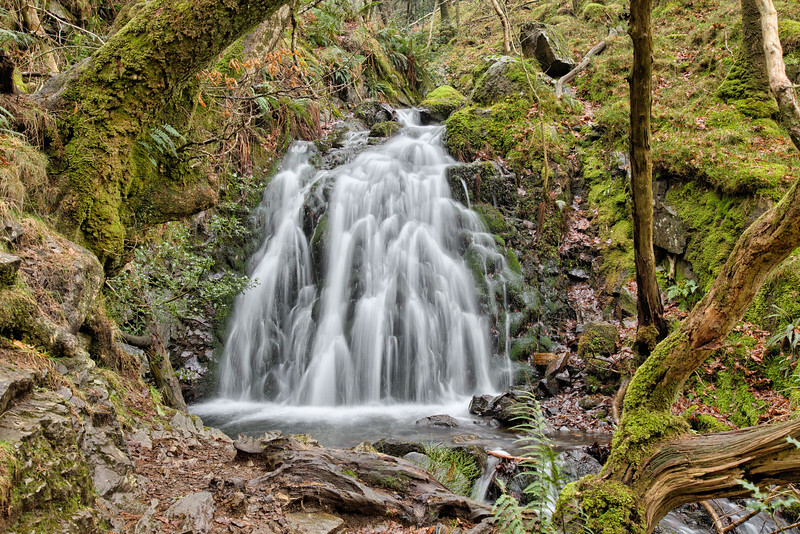 One of the waterfalls on Tom Gill Beck. Tarn How is drained by Tom Gill which cascades down over several small waterfalls to Glen Mary Bridge. 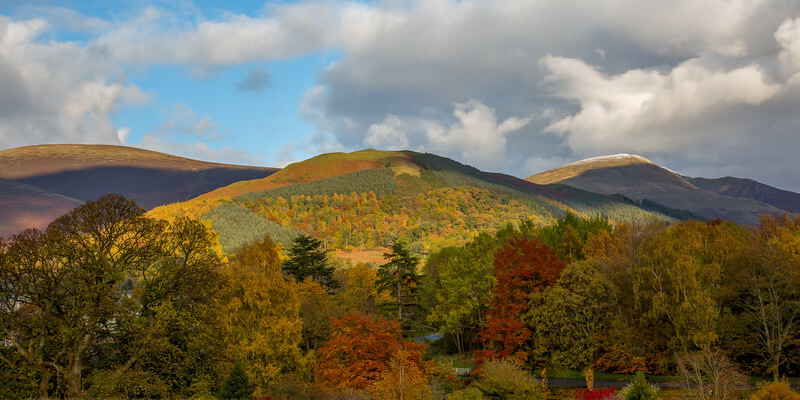 Photo taken from Crow Park, Keswick in the Lake District showing the beautiful autumn colours towards Latrigg. Over to the right, you have Blencathra with a dusting of snow on top. 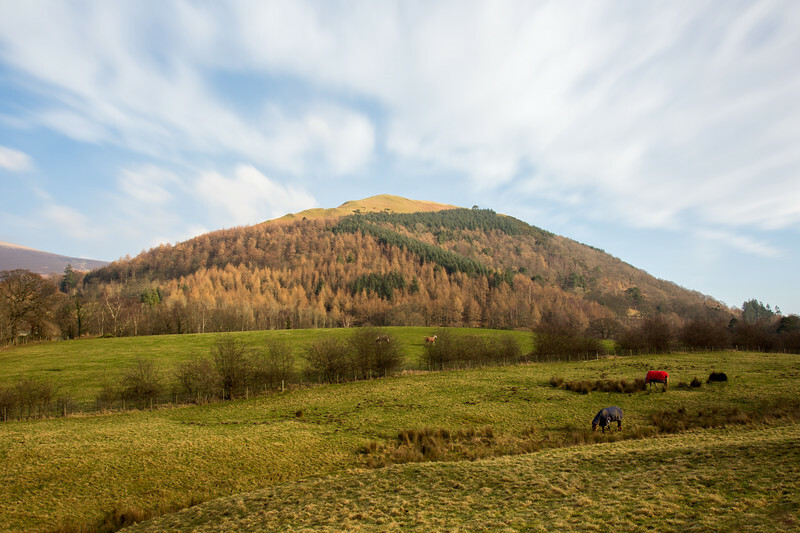 Looking up at Latrigg, Keswick. Start of a circular walk from Keswick to the top of Latrigg and then around to Brundholme Woods, before ending back in Keswick. 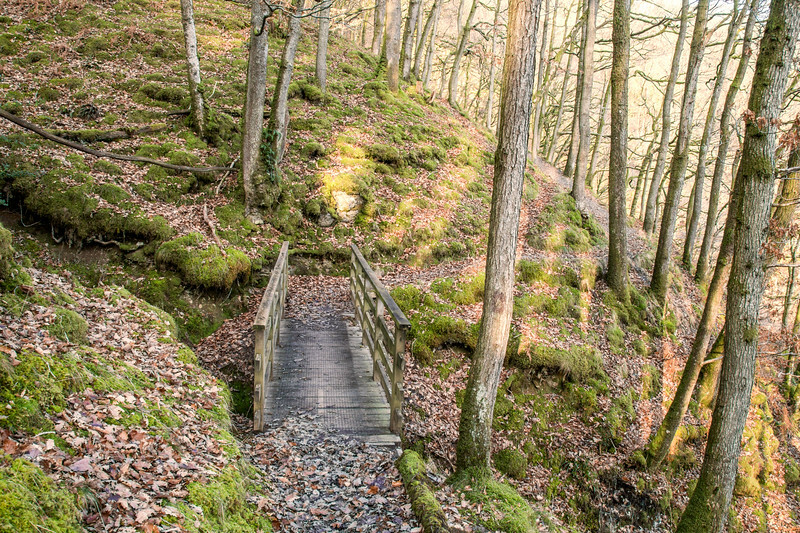 Taken on a cold January morning on the pathway through Brundholme Woods at Keswick in the Lake District National Park. View of Blencathra from Latrigg on a cold January morning. 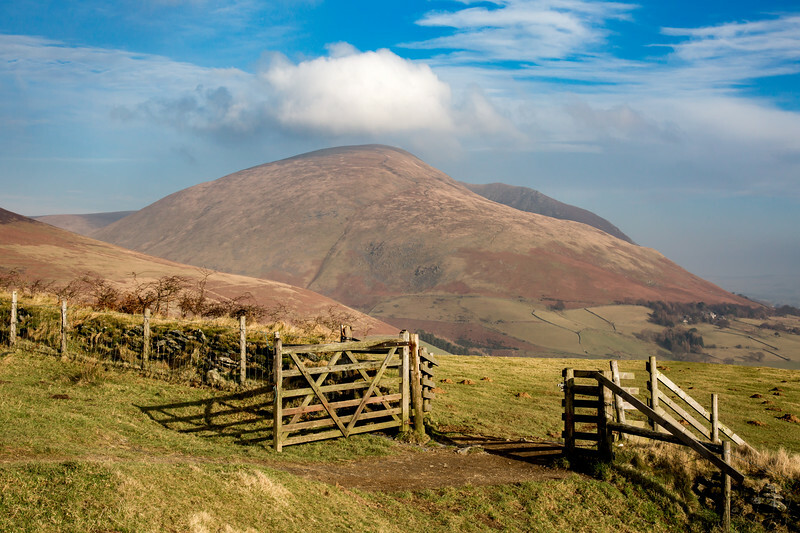 Blencathra is also known as Saddleback and has a height of 2,848 feet. 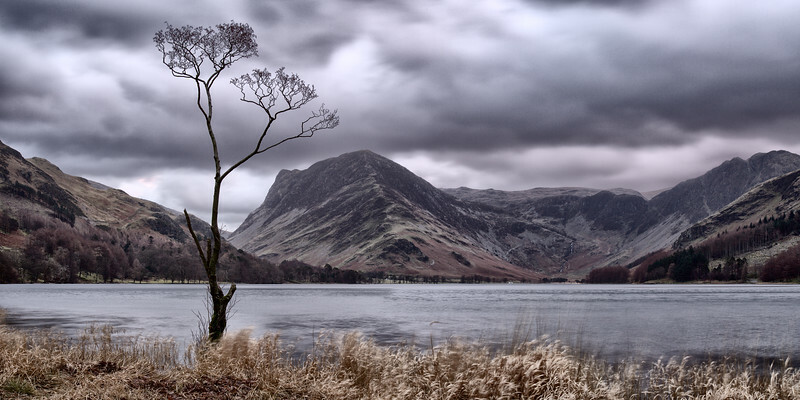 Lone tree at Buttermere. 2 to 3hrs to walk around Buttermere and for information, it is 1.5 miles long, .75 of a mile wide and 75 feet deep. In the background, you have Fleetwith Pike. 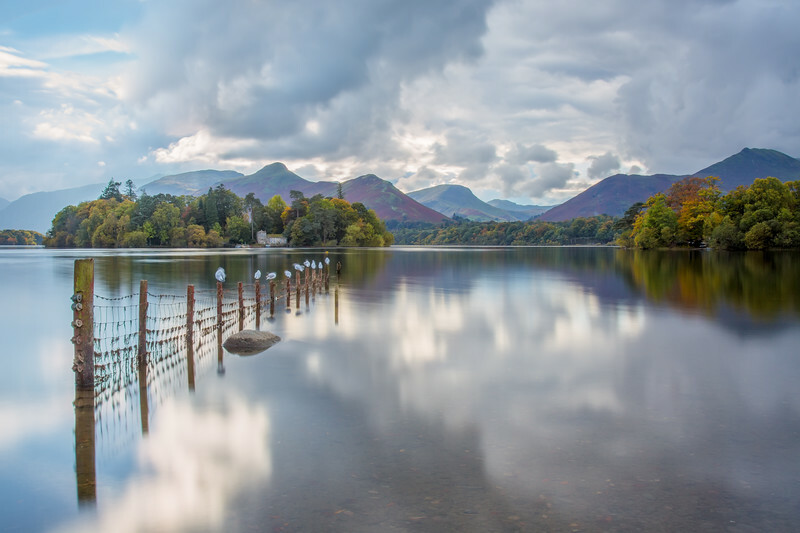 Derwentwater as seen through the Gate at Crow Park looking towards Derwent Island and Cat Bells in the distance. 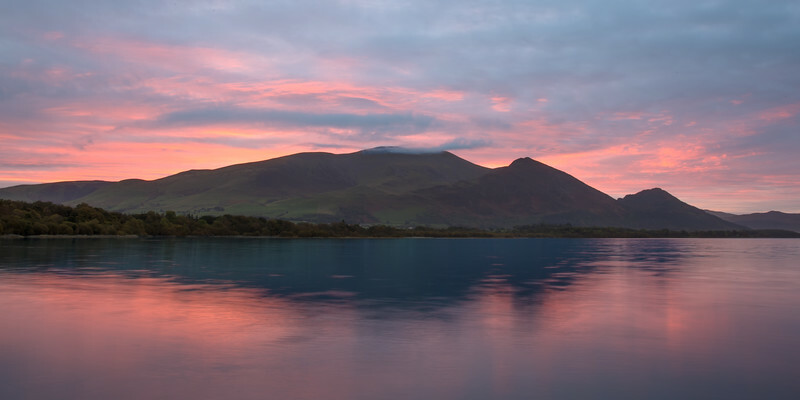 Stunning sunrise over Lake Bassenthwaite with a misty Skiddaw at the back, Ullock Pike in front and Dodd Wood to the right. 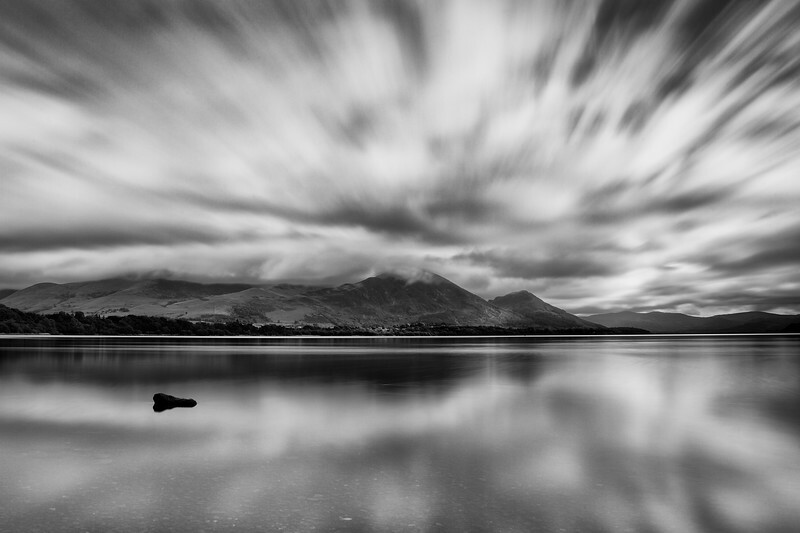 Taken over Lake Bassenthwaite, looking towards a misty Skiddaw at the back, Ullock Pike in front and Dodd Wood to the right. Castlerigg Stone Circle located near to Keswick in the Lake District. Try and visit around the summer solstice for the druids celebrations. 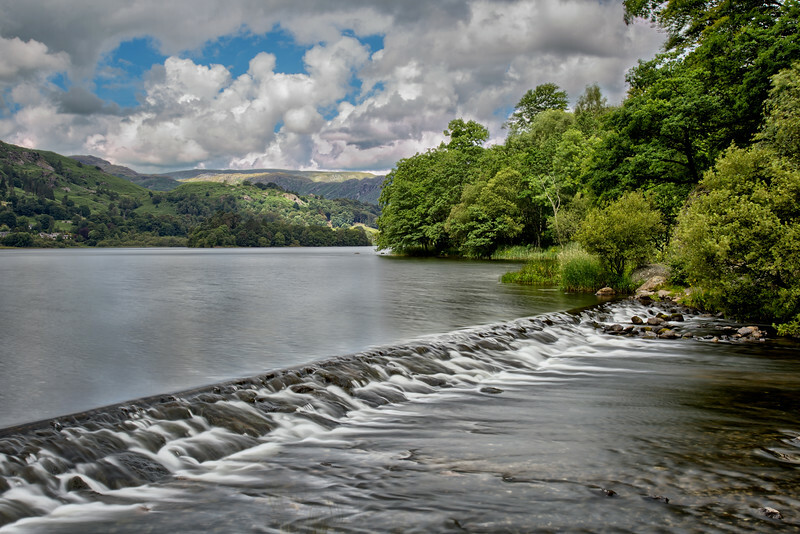 Grasmere flowing over the weir as the River Rothay winds it's way down to Rydal Water and then Windermere. Beautful place to sit and contemplate lifes mysteries. 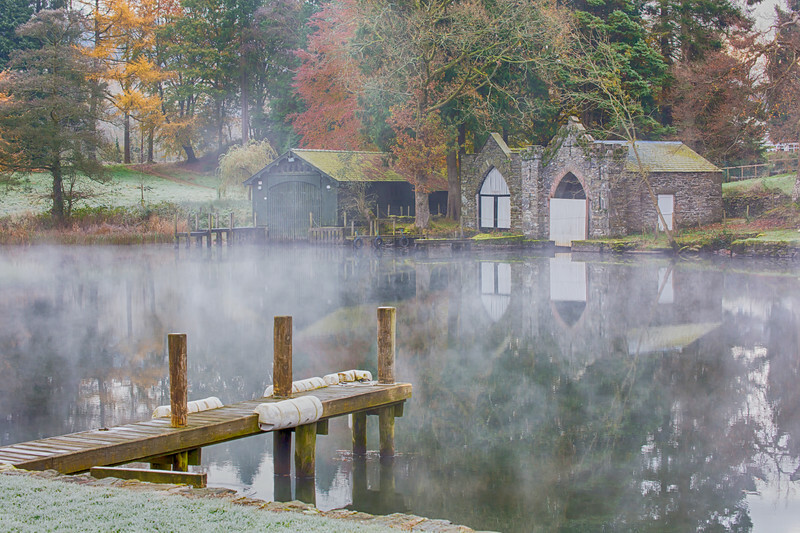 This was the first time I've walked along the west shore of Windermere and I came upon this boat house. 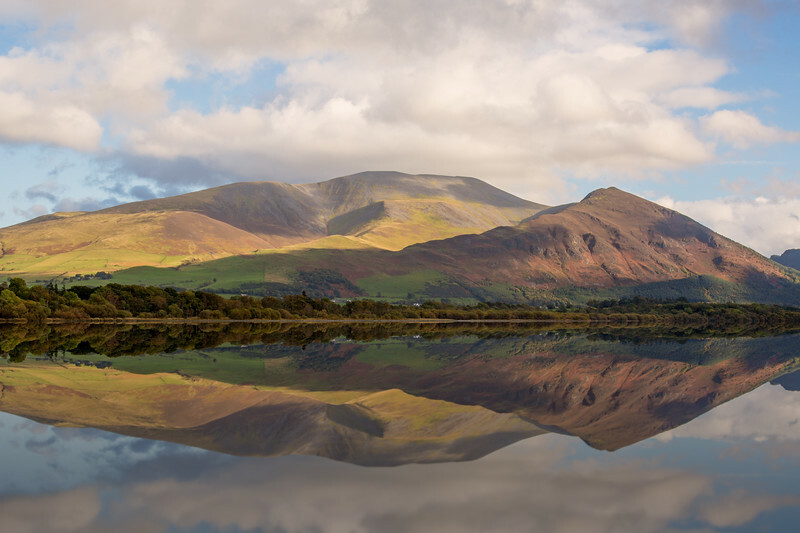 Lake Bassenthwaite with Skiddaw and Ullock Pike reflected in the water. Filter used to enhance the reflection.